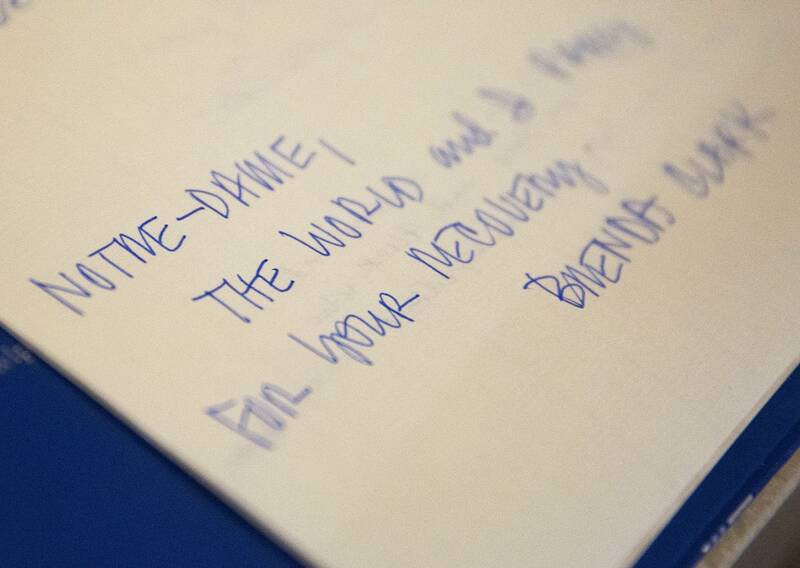 As France vowed to restore the Notre Dame Cathedral in Paris, Minnesotans gathered at the Basilica of St. Mary in Minneapolis on Tuesday to pray and reflect on the cathedral and the many manifestations of their faith. As the sound of the bells signaled the start of a special Mass of Solidarity, about 100 people filled the St. Joseph Chapel in the Basilica, summoned by what they watched a continent away on Monday — the sight of flames consuming one of the Catholic Church's most revered landmarks. 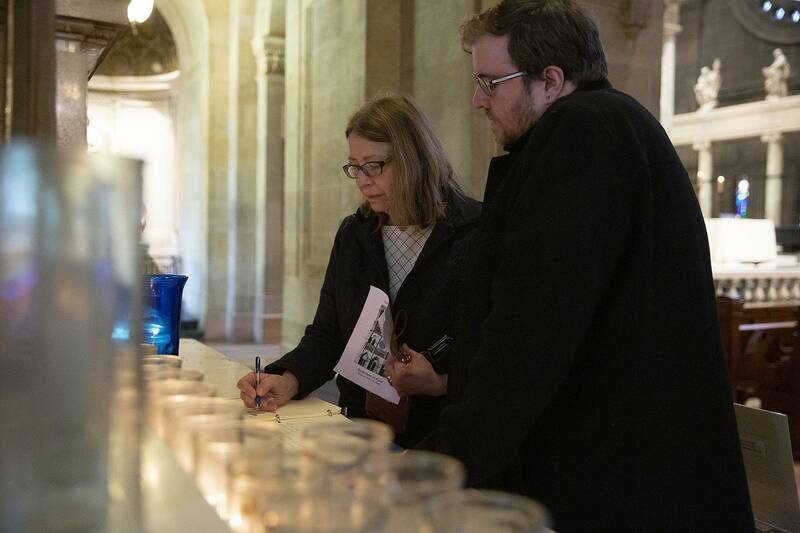 "Whenever something big happens in the world, be that something great or a disaster, as a Catholic community, we feel the need that we have to offer the opportunity for people to come together," said Johan van Parys, the director of worship and the sacred arts at the Basilica. "When we realized what was happening to this beautiful Cathedral in Paris yesterday, we immediately thought we need to do something," he said. 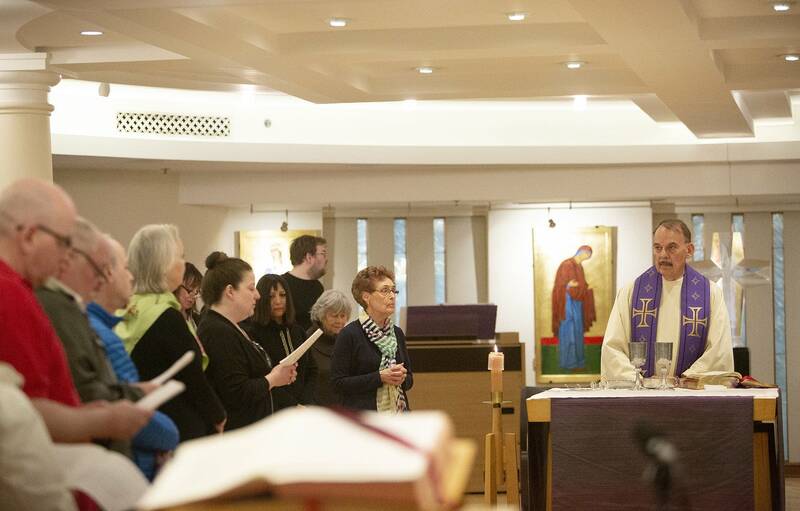 "As a Catholic community, the best thing we do is celebrate the Mass." Van Parys said people with monuments of their own, like the Basilica in Minneapolis, the Cathedral in St. Paul or Westminster Presbyterian on Nicollet Mall, understand they are manifestations of community and can feel for the loss of the people of France, even for those for whom the cathedral is just a spire on the Parisian skyline. But even from across the Atlantic, many Minnesotans appreciate its history and artistry. Don Pirner remembered first visiting the church on leave from the Army in 1955, and visiting again and again &mdahs; an experience that even his family came to share. "It's just a special church to visit and go to Mass and [I] feel so sorry for the people of Paris," he said. "It's one of the many icons of the Catholic Church." Cheryl Miller was among the non-Catholics who showed up. She's a Protestant and chaplain for Allina hospitals, but came with her son from Eden Prairie to share the experience in a "kind of faith solidarity." "It just made me sad, so I had to come somewhere to seek healing, and this would be the obvious place," she said. The Basilica also offered a book in its sanctuary for people to offer their sympathy in writing. It'll be available through Easter and parish officials will then send it to the Archbishop of Paris.